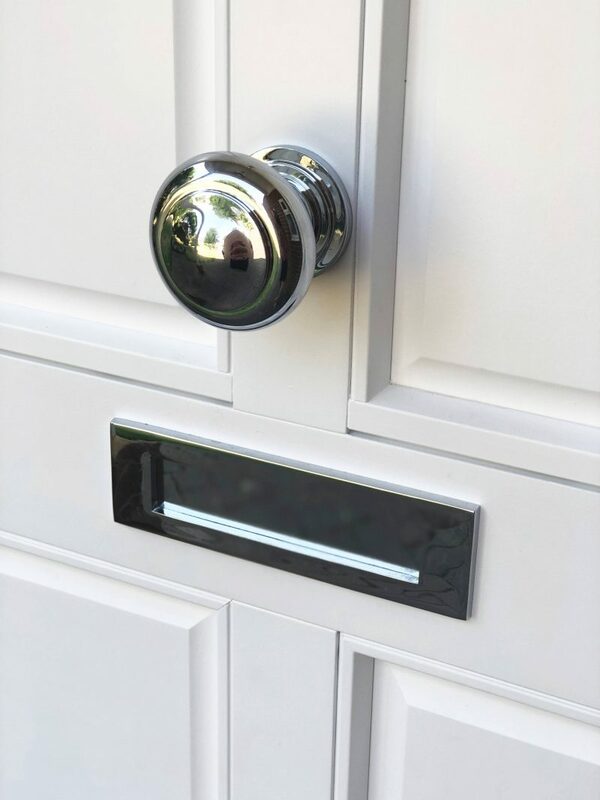 When the owners of this gorgeous property in Weybridge began looking to replace their front door, they struggled to find a door to fit their taste and the style of their home. They wanted to replace the original double wooden doors with a new single timber door at the front of the house. 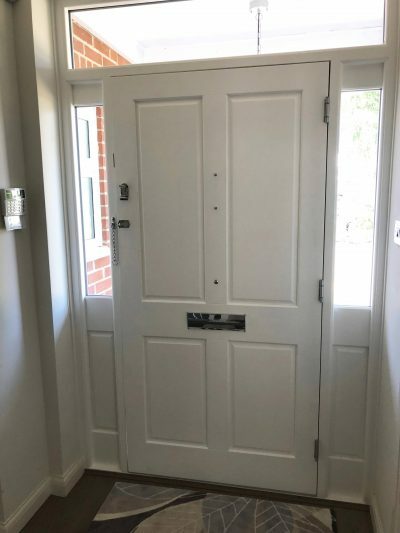 Their expectations were to have a door, with narrow side lights, allowing light in but at the same time providing privacy. Even though other companies were offering bespoke doors, they proved inflexible and had many restrictions. 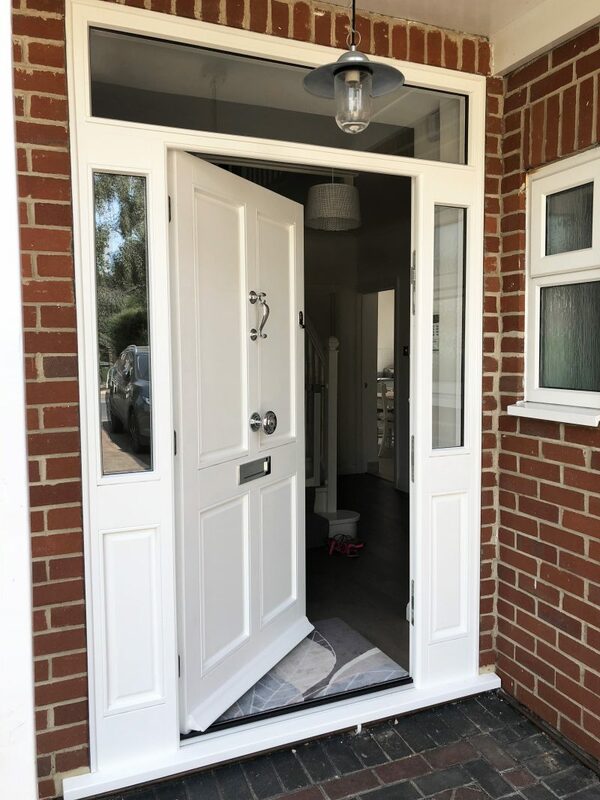 We have a dedicated team who are able to work closely with individuals to create bespoke and unique timber doors, which meet the specific requirements of our customers. 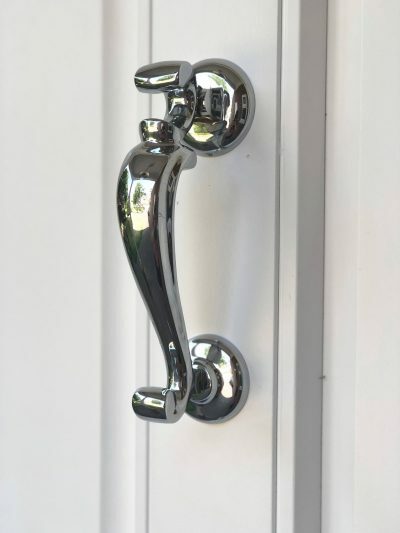 This stood out to our customers. 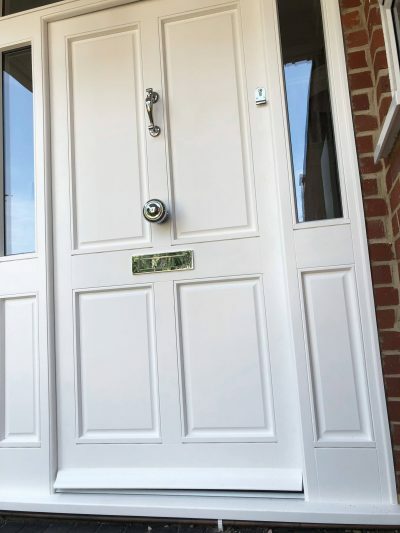 Each timber product is distinctively crafted by our technicians, ensuring they’re striking, strong, secure, energy-efficient and hard-wearing. 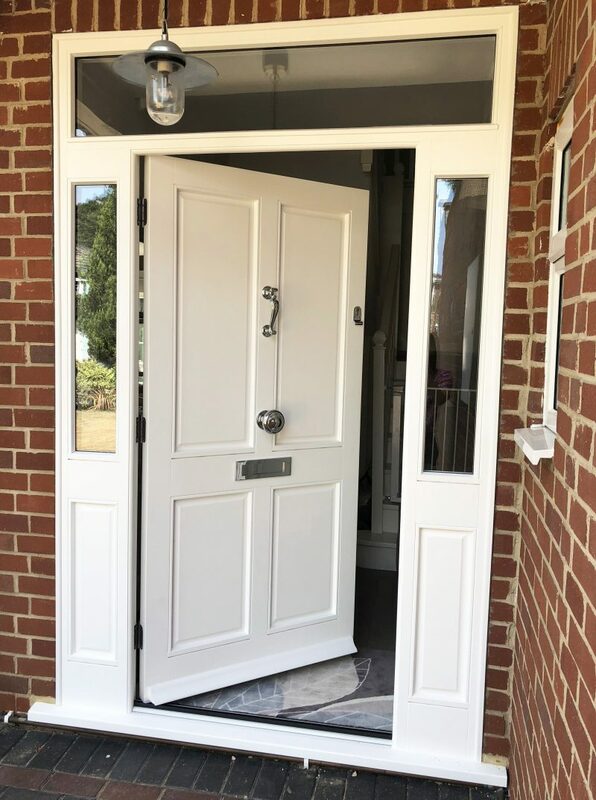 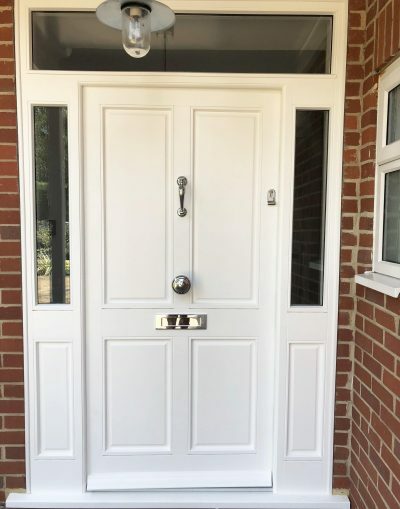 Our experienced team were able to design and install the perfect door for our clients in Weybridge, and we think you’ll agree, the results are stunning!